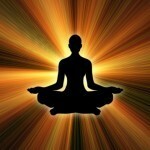 The art of practicing Yoga, in all of its dimensions, originated several thousand years ago in Ancient India. The practice of physical postures, breathing exercises, meditation techniques, self-inquiry and the chanting of sacred texts, known as swadyaya, has its origin in Hinduism. In order to offer a well-rounded and inspiring Yoga class, it is important to weave some traditional Yogic philosophy and wisdom into your class format. By offering even a few minutes of illuminating and inspirational wisdom to your students, you will help your students to place their Yoga practice into the context of their daily lives. The Rig Veda is one of the primary ancient texts of Hinduism. It was compiled and handed down orally from teacher to student beginning in approximately 2000 B.C.E. It is the basis of all of the other Hindu Vedic texts. The Rig Veda is the oldest Sanskrit text known to exist. It contains sacred hymns that are replete with metaphorical stories that illustrate Hindu thought, belief and philosophy. Some of the areas of knowledge that the Rig Veda addresses are: how to know the self, how to live a dharmic and happy life and how to attain moksha or liberation. In order to introduce the Rig Veda to your students, you may wish to share a little of the text’s historical background and context with them. You may also want to explain how reading, reciting and contemplating sacred texts accentuates their Yoga practice. For example, one of the lines from the Rig Veda states, “When there is harmony between the mind and the heart, backed by a strong resolution, nothing is impossible.” After introducing the Rig Veda, reading this line and pausing for a moment to let the wisdom penetrate the minds of your students is a great way to begin weaving Yogic knowledge into your Yoga class. As a Yoga instructor, you may want to offer an anecdotal example of how you have accomplished one of your goals by aligning your mind and your heart while maintaining a strong resolve and focus. If time permits, you may also ask your students if anyone has a story to share that illustrates this teaching. By creating a contemporary context for this ancient wisdom, your Yoga students will be readily able to learn from the timeless wisdom of the Rig Veda. In this way, their Yoga practice will not only be “on the mat,” it will also be woven into the way they see and understand their world. If you are a Yoga Teacher, studio owner, blogger, e-zine service, or website publisher, and are in need of quality content, please feel free to use my blog entries (articles). Please be sure to reprint each article, as is, including the resource box above. Namaste!